This one day implant course is deal for both dental nurses new to dental implant nursing and also for those already experienced implant nurses, who want to gain a better understanding of the role. This engaging course offers opportunities to gain knowledge and confidence in assisting during surgical implant placement, as well as during the restorative phases of treatment. This blended learning programme aims to develop dental nurses' theoretical knowledge and technical skills. 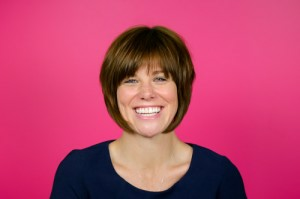 Alison has over 25 years experience in the dental profession. Her dental nurse qualification is from Glasgow Dental Hospital and she has been working with dental implants in London private practice since 1990. Gaining her dental radiography qualification in 2005 she helped to establish the first CBCT imaging centre of its kind in a dental practice in Europe, she has gained the Level 4 Diploma in Practice Management and graduated in September 2015 from the Open University with a BSc. Alison is due to complete her Learning and Assessors certificate in 2016. She sits on the editorial board of Dental Nursing magazine. With a wealth of knowledge and educational experience her passion for empowering dental nurses and administrators is second to none. 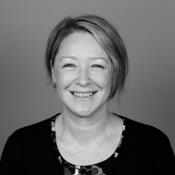 Alison ensures the effective management of the Academy whilst also having an active role in the educational programmes. Nikki has been working with dental implants since 2005. Her nursing experience in surgical and restorative implant procedures enables her to provide support to both patients and clinicians during the full patient journey. She recognises the importance of training within implant teams and the importance of knowledge and competence when assisting during implant treatments. As well as being an integral part of the Dawood and Tanner Specialist practice she holds honoury contracts at both University College Hospital London and Chelsea and Westminster Hospital where she is involved with maxillofacial and oncology rehabilitation cases. Supporting Andrew Dawood with these advanced dental implant cases she works in a large team to help patients with facial deformities from trauma and post cancer.